How much does a Intake Manifold Gaskets Replacement cost for your car? The cost of a Intake Manifold Gaskets Replacement depends on the type of car you drive. Like parts such as the air pump check valve, the intake manifold controls the air fuel mixture. When fuel is pumped in, it directs the gas towards the correct cylinder to allow for optimal burning. 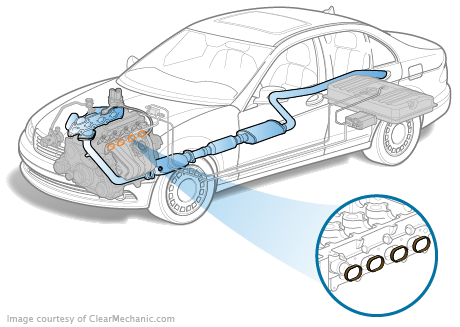 Coolant flows through it to make sure the engine does not overheat, so there is a wide variety of temperatures that need to be dealt with. The manifold gasket is what keeps it in place, and due to its important role in dealing with so much hot gas, it can easily fold under the pressure. If the manifold gasket begins to have issues, it can truly damage a car’s performance a lot more than most other parts. The engine will overheat very quickly as the cylinders are no longer properly able to be cooled down, and eventually this will damage the internal engines. If you believe you are facing these issues, have a certified technician undergo an inspection on your vehicle as soon as possible. Chat with one of our experts and we’ll set you up.